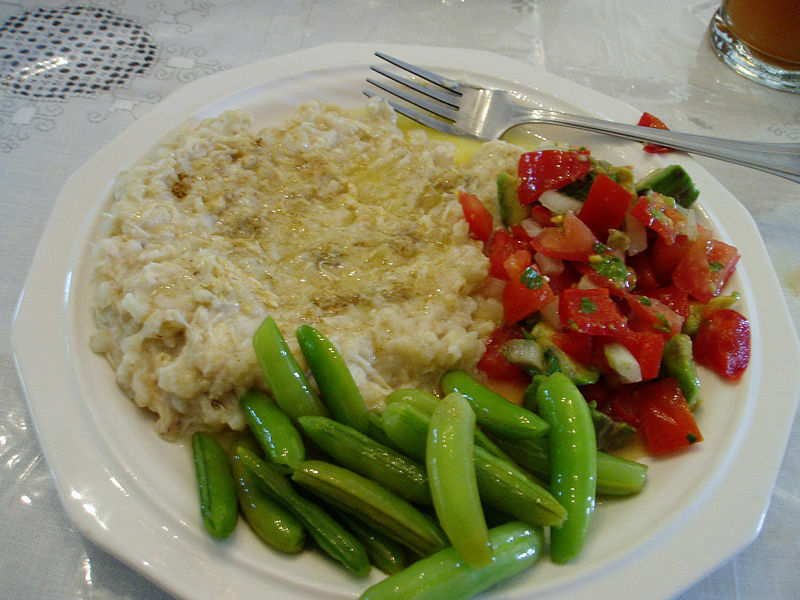 Harissa (Armenian: Հարիսա) is an iconic Armenian dish similar to kashkeg found in Turkish cuisine. It is a kind of homogeneous porridge made of previously stewed and boned chicken and coarsely ground soaked wheat. The dish has been passed on since ancient times. Harissa is traditionally served on Easter day. It is still prepared by many Armenians around the world and is also considered the national dish of Armenia. Harissa is also very common in Lebanese villages, across its different ethnic communities, where it is usually cooked on religious occasions in a big pot in a village gathering.